Midwest Door & Hardware is your local solution for door frame fabrication and welding services. We create frames, sidelights and more at our shop in Lincoln, Nebraska. We are also certified to prepare or modify fire-rated doors and frames. Being in the construction industry has probably molded you to analyze every opening you walk through. You appreciate the materials used to hold up the structure of a building. You also appreciate why experience and product knowledge is so important in our industry. Midwest Door & Hardware is the only fabrication facility west of Omaha. Any doors you order through us and can be welded and fabricated right here in Lincoln. We are the only door and hardware company with its headquarters in Lincoln. This allows us to keep many standard items in stock, which makes it easy for us to weld, assemble and ship your project quickly. Each week, Midwest Door & Hardware receives one to two shipments of hollow metal. 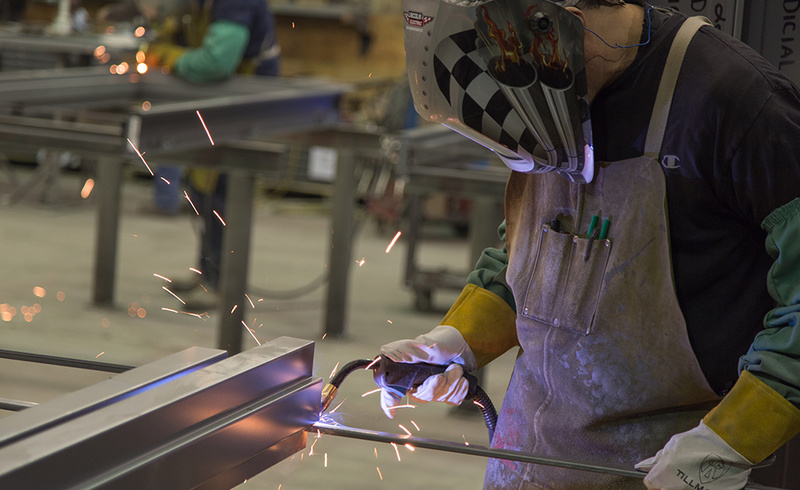 Our welders take the metal and create the frames that will be used in buildings around Nebraska. We create standard as well as custom frames to meet the requirements of all types of commercial buildings. 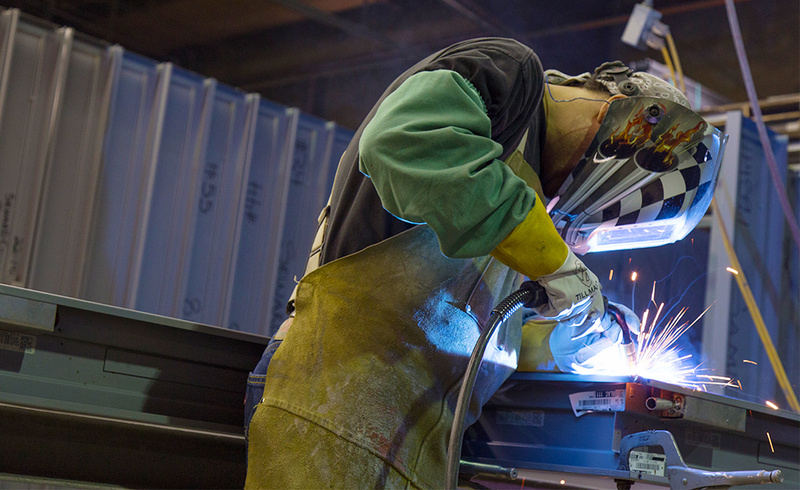 Having a fabrication facility near your jobsite is highly beneficial because it cuts down on the shipping costs of your frames. Having a fabrication facility nearby also means you get your frames sooner. As an added bonus, when your frames and doors are ordered from Midwest Door, you can rest easy knowing who is handling the details. We are here to take care of your needs and get it right the first time. 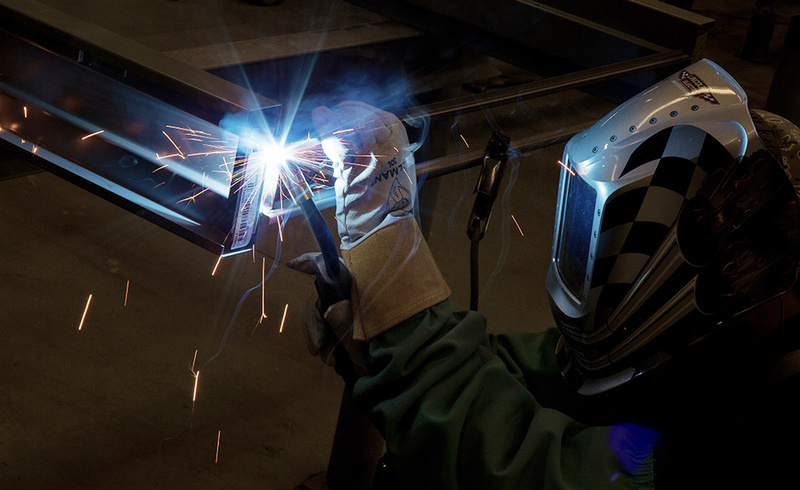 Looking for custom fabrication and welding for your next project? Send us an email at info@midwestdoor.net. We look forward to assisting you!